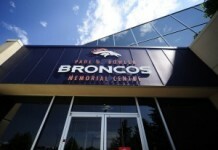 The NFL locker room is a sanctuary, filled with tight-knit group of 50-plus players. It’s a family, and when it comes time to part ways with one of the members of that family, it’s sad, tough and disappointing. But players often remind anyone that will listen that the NFL’s a business, first and foremost. 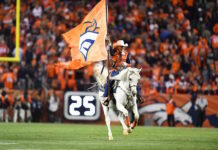 As the news of former Denver Broncos cornerback Aqib Talib‘s trade to the Los Angeles Rams rolled in, it obviously sent shock waves of surprise to current members, who took to Twitter to react. There may not have been anyone closer to Talib than the man who lines up with him on every down on the other side of the field. 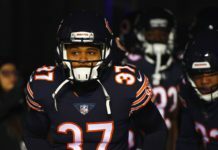 Chris Harris Jr., his partner in crime and the backbone of the ‘No-Fly Zone’, says he will miss his brother and wishes him well in L.A.
Broncos linebacker Brandon Marshall only had one word to say about Talib’s trade news and it explains his shock succinctly. Broncos safety Will Parks who roamed the secondary with Talib, tweeted this appreciation to Talib saying Talib taught him a lot and mentioned Talib’s new Dallas training facility. My dawg 4 life @AqibTalib21 imma miss you slime! Straight like DAT ?? you know I’ll remember everything you taught me ☄️SEE you in Dallas training soon! Offensive players got into the mix, as running back C.J. 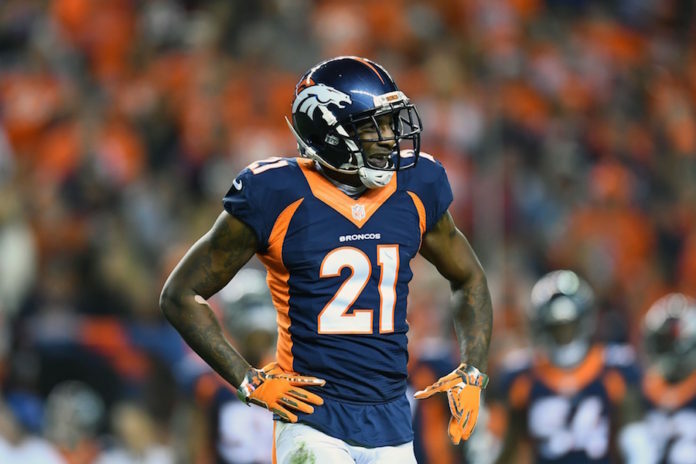 Anderson wished Talib well on Twitter, saying he learned a lot from the star cornerback. No lie ima miss my brother @AqibTalib21 learn so much. Fam forever!!!!!! Learn a lot from you big bro excited for you ? And while one team deals with the loss of their Pro Bowl cornerback, another gains the services of Talib, and the Rams took to Twitter to celebrate their acquisition with a .gif of an old friend that Denver fans will recognize. The Broncos will receive a fifth-round pick in return for Talib in the 2018 draft. Talib finishes his Broncos career with 183 total tackles, 11 interceptions, with six of them being returned for a touchdown, which is a franchise record. Talib also forced two fumbles, recorded his single only sack of his career, went to four pro bowls and a first team All-Pro, along with anchoring the secondary for the Broncos Super Bowl 50 title.